Booking the best hotels is certainly the most important part of your holidays. A good hotel in combination with the fantastic Greek landscape can make your holidays the most memorable of your lifetime, while a bad choice may offer miserable moments. Here are some tips to bear in mind when looking for hotels in Greece. 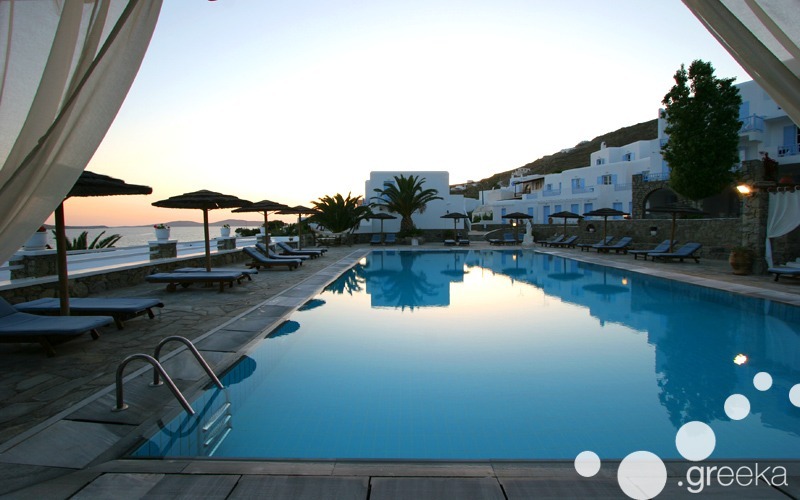 No doubt the most convenient and relaxing hotels in Greece are located by the sea. Look for a hotel by the beach, so that you can enjoy the fantastic Greek sea at any time of the day or night. The beach will be just few steps away and you save all the tiredness and time you would need to spend to go to the beach and return. Also, is there a better view to see from the hotel balcony every morning than the vast blue sea? Is there a more relaxing sound to sleep at night than the sea waves? These will be moments to cherish for a lifetime! You have probably heard that hotels in Greece can be pretty expensive. Indeed some luxurious hotels and spa resorts are expensive, especially in high season. However, the truth is that, next to upscale spa resorts, there are budget studios and family apartments with more reasonable prices. There is no way you won’t find the most suitable Greek hotel for you. July and August are the hottest and busiest months to visit Greece. These are the peak months for Greek holidays, when the majority of tourists are spread to the Greek islands. Hotel prices are the highest in these two months, and most frequently many hotels in Greece are fully booked long before July and August. This is why visitors are frequently suggested to come to Greece in low season, if this is possible. Most Greek hotels open from April/May to October and visitors can find many hotel offers for low season months or early bookings. Hotel availability is better in low season, while the Greek islands and mainland destinations have less tourists and more relaxing atmosphere. Especially if you do not want to rent a car in the Greek islands, make sure that your hotels in Greece are close to facilities and convenient services, such as bus stops, mini-markets, restaurants and shops. ← Greek ferry seats: Deck, air seat or cabin?